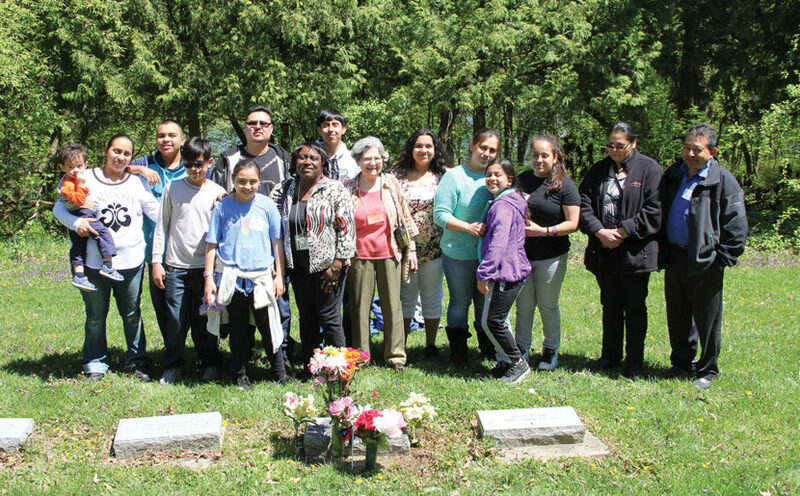 It was not only Tony and his mother whose lives were blessed by Monica with her wisdom, presence and love, but also his sisters Alicia Villegas and Maria Cortez, his brother Julio Castro—and now, their own families. After establishing TAPROOTS in 1978, the spirit of BVM Monica Cahill continues through the generations of the families she helped so long ago. Monica’s story began over 30 years ago, when she dreamed of a program that would help young parents by instilling healthy self-esteem, the importance of their children’s early years, and the need to become responsible parents and citizens. Essential elements included helping them to finish school, find a job, and provide low cost day care for their children. Monica named the program TAPROOTS (Teen and Adolescent Parents Realizing Ongoing Orientation Towards Success). The root of the plant that goes deepest into the soil and draws the richest nourishment from the earth is the taproot. Similarly, through nurturing and support, the quality of the lives of parents and children can flourish. TAPROOTS began in the basement of a church on the West Side of Chicago. The first BVMs to work there were Francilla Kirby and later, Mary Kelly (Hortense). Associate Rosemary Juliano helped for several years, and Kelly Lytle, former BVM, often came to take the boys to a nearby park. Founded in 1978, TAPROOTS was incorporated as a nonprofit organization, helping adolescent parents and their children. During the ’90s, TAPROOTS shifted from its initial services to a more preventative approach, offering social and educational outreach, life skills, and parenting and cultural arts programs with a healthy living theme. 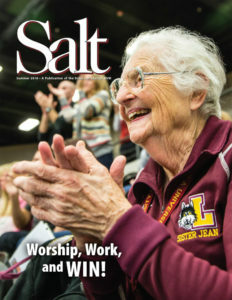 Monica served as its executive director for two decades. 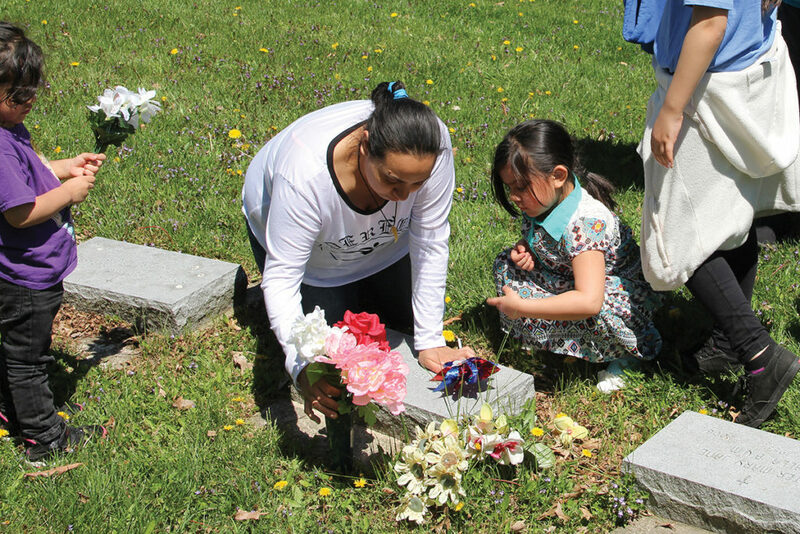 Alicia Villegas and her daughter Natasha place flowers on BVM Monica Cahill’s grave. Mary Ellen shares, “There have been years when Tony or Maria had to work, or there was only one van able to make the three-hour trip.” But those in the Villegas family who are able to make the journey, always come, and Mary Ellen is waiting at Mount Carmel to welcome them. To learn more about TAPROOTS, visit: taprootsinc.org. Feature photo caption: Mary Ellen Meckley, BVM (center) gathers with the family who comes every year to Mount Carmel to honor Monica Cahill, BVM. 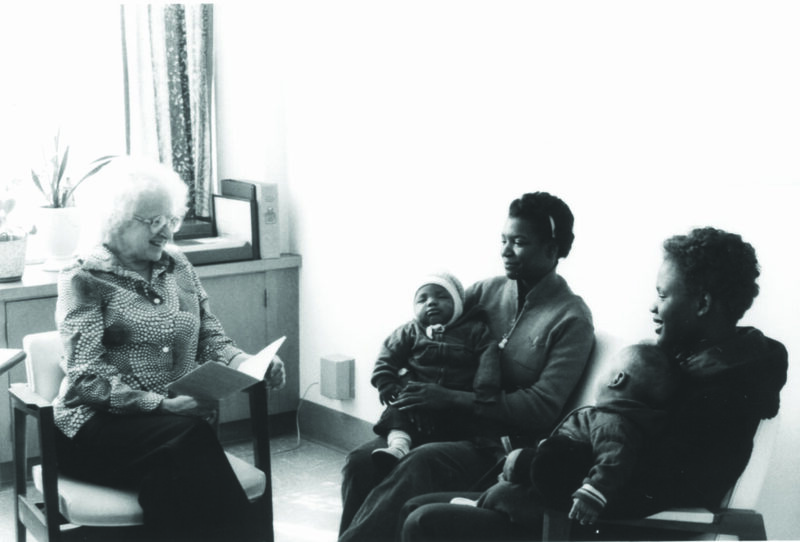 Ruby Taylor (left of center) worked with S. Monica and took over as program director when she retired. previous post: The Maiden Voyage!